The fire has crossed the Kluskus FSR and is currently exhibiting aggressive fire behaviour due to high winds and temperatures. Crews retreated from the line on August 7th due to unsafe fire behaviour, and will reassess objectives based on fire activity. 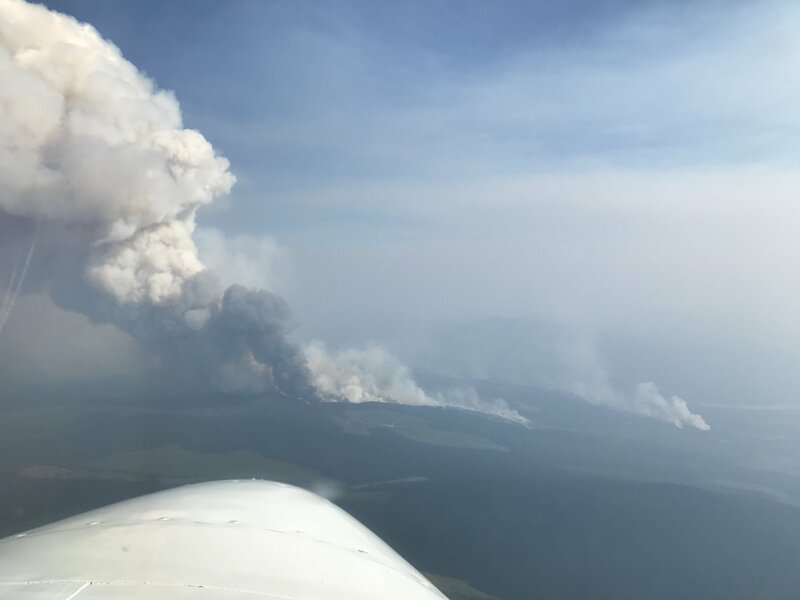 On August 7th crews from this fire responded to the South of Long Lake fire 20km to the northeast and have remained on that fire since in an effort to contain the fire. They are having success and will return to the Chutanli Lake fire when it is safe to do so.